Emmerson Mnangagwa has been sworn in as Zimbabwe’s New President. His removal as vice president by Robert Mugabe led to the veteran leader’s ouster, was sworn in as Zimbabwe’s new president today. “I Emmerson Dambudzo Mnangagwa swear that as the president of the republic of Zimbabwe I will be faithful to Zimbabwe and obey, uphold and defend the constitution and all other laws of Zimbabwe,”. 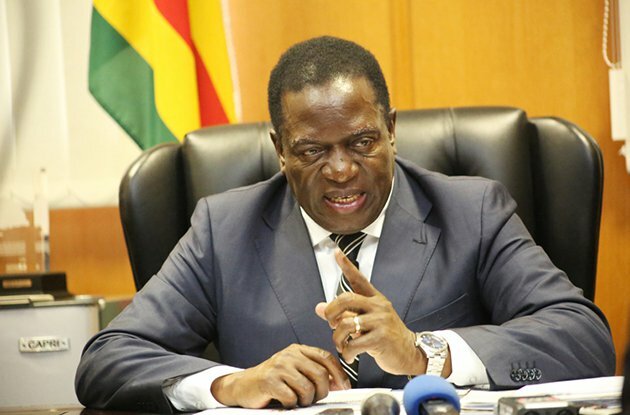 State media said on Friday that the new Zimbabwean leader, Emmerson Mnangagwa, has assured former President Robert Mugabe that he and his family would be safe in the country. Mnangagwa gave the assurance today, when the two men spoke for the first time since he returned home this week.